19-year-old Jakob lives in Cologne, sharing a flat with his brother and the latter's girlfriend, Karo, who is pregnant. He's a drifter and obsessively records his daily life on video. He films himself while masturbating, secretly observes his brother and Karo through the lens and documents the concerts of Phillip, his friend. He gets drunk with Piet's mother, satisfies Mani on the river banks, scrounges money off pedestrians, breaks into a house and together with Phillip smashes the furniture. 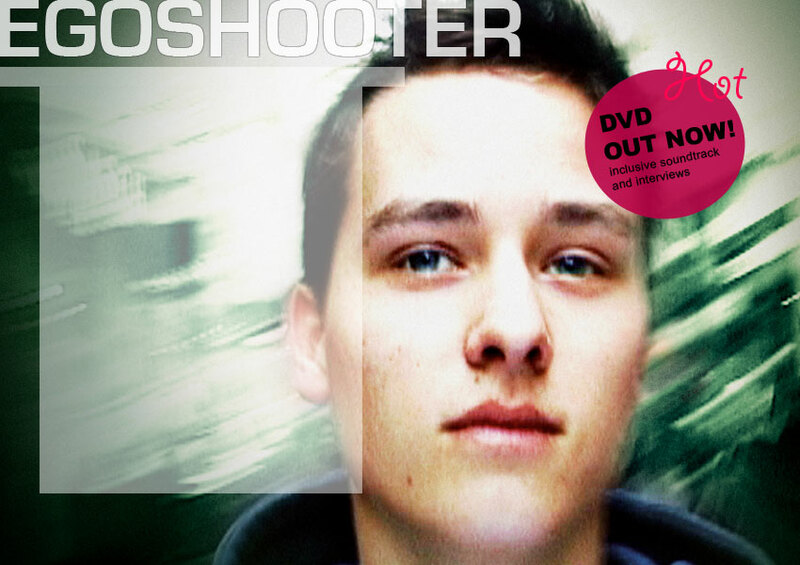 Egoshooter is a fragmentary document of Jakob's world. By means of association, scenes come together to form a puzzle that paints a fractured portrait of Jakob. In this experimental blending of video diary with feature film elements, atmospheric snapshots take the place of a linear narration.